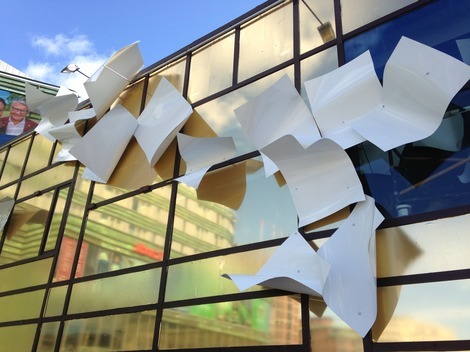 An invisible force of nature has caused large sheets of paper to fly along the façade of Oslo S. In this frozen moment a whirlwind shifts the perspective. In the eye of the storm, on the inside of the façade, the sheets are of normal size whilst along the façade they are over dimensioned. 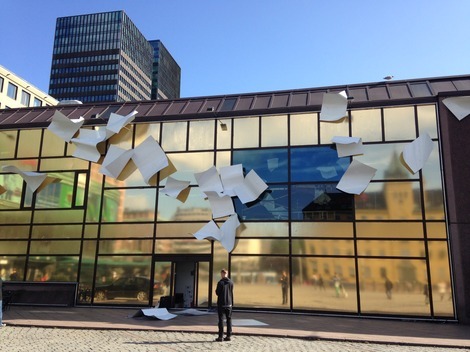 The inspiration for the installation is the A4 sheet, the international standard designed by Walter Porstmann in 1922. Norway was one of the first countries to introduce the A format, in 1926, following a recommendation by the Deutsches Institut for Normung. Today the A format is used by almost all countries worldwide. What does a piece of paper mean? To be without valid papers, to be paperless, has unfortunately become a familiar term for all and a reality for many. 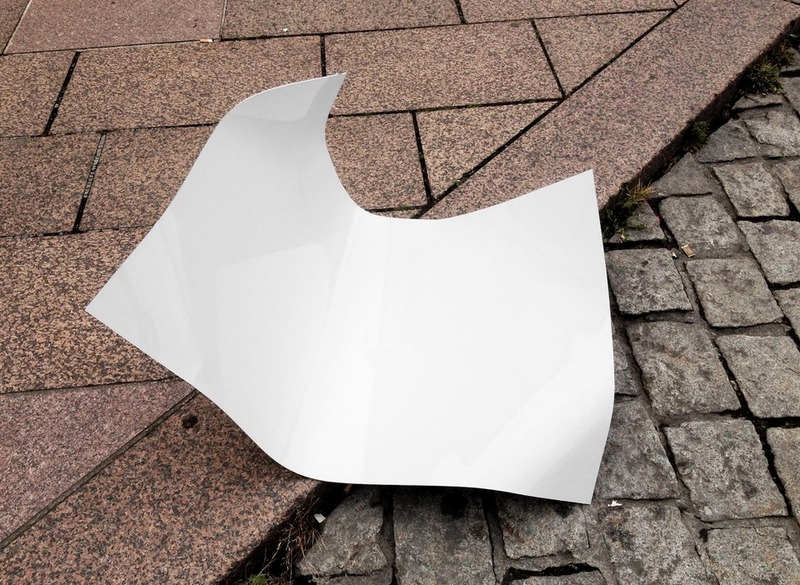 The blank page is often seen as the symbol of a growing bureaucracy, where papers are passed around in the public’s interest. The blank page also suggests opportunity and new beginnings. The intention of the A4 standard was to create order in chaos, to streamline, to create a universal format that everyone could agree on so that exchange and contact between countries and people would be facilitated. In the limitations of its format lie a big idea, one of ​​freedom and understanding.